When you first start looking at survival and preparedness websites or even read posts on Facebook groups, you see how much people have done to prepare. You can’t help but be impressed at their extensive stockpiles, skills and survival retreats. Then comes the inevitable downer: you compare your puny one month worth of food to their one year’s worth of food and feel like you haven’t made any progress at all. I know because I have been there. Being limited by lack of space, I know I will not be coming close to a year’s worth of supplies anytime soon. I have felt inadequate and insecure about my own efforts and wonder if it’s even worth it. I pick myself up from the dumps when I realize where I was before I started preparing. I barely had any emergency supplies at all, a couple of days worth of water, with only a change jar of pennies for cash. Back then, I did not realize the value of acquiring skills like gardening, bread making or water purification. I realize how much further along I am now, compared to where I was before. This makes me feel a lot better. 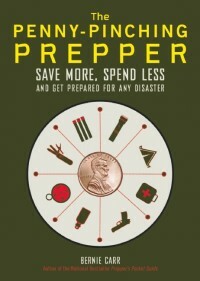 Everyone is in a different stage in their preparedness efforts. We also have different situations. Some have to stay in the city or suburbs due to work and school commitments, while others already live in a rural area by choice. Think about where you were before you started to prepare. Your neighbor next door may have never thought about it and is barely starting to realize how unprepared they are. If you are just starting out, realize that at least you have made an important decision to become more prepared and self-reliant. Being new is great – that means you have decided to prepare. And, if you read about others’ prepping mistakes you could save yourself a lot of wasted money and efforts. Buy whatever supplies you can afford each week. Even if you just spend $5 a week, you can build a stockpile in no time. Having supplies is not the whole picture. Learning skills is also important. Pick up a new skill each month and you will be way ahead in your efforts in a short time. Consider where you might be if you never even got started. You will be amazed and gratified at how far you have come. I could not agree more! I too have had those moments where you feel like you have so much to do but so little money. My husband will bring the subject up to me and I tell him, if we do a little each day it adds up. We do have days thought where we do a lot so it evens it out. I never feel like I have not a lot because I always remember where I started and that it could be nothing so I am always grateful for what I do have. These feelings are normal, and it is a challenge to overcome them. Because dwelling on what you don’t have will just derail your preparedness plans. Every little bit helps. I also watched the Doomsday Preppers, thought it was great, such innovative ideas! I have come a long way in just 4 months! I kicked it into high gear after the Japan Earthquake, as I live on the west coast of BC, Canada, in the Cascadia fault zone. There is a lot of coverage and preparedness going on here, but only for the standard 3 days. I started out preparing Go Bags to take with us to our local evacuation centre if the Big One left our condo uninhabitable. Then I thought maybe if the condo were habitable I’d store food, lots of food. Now, after all the reading online, I’m preparing for long term. Besides the world economic situation, the possibility of a large solar flare taking down the electrical grid concerns me. That would be long term, also, so I am now reading a great book, “Edible and Medicinal Plants of Canada” and thinking about stealth gardening. And I’ve started dehydrating a few things. Corn niblets works great. I know that if the shtf then our condo population would have to get together and start a vegetable garden on the available land. But I’m sure if I broached the subject now they’d think I was nuts. But I digress. I tell my daughter it’s our hedge against inflation. And it’s going to start paying off soon because food seems to have taken a noticeable jump here, about 2 weeks ago. Hi Diana, I am impressed at how much you have done in just 4 months! It’s just amazing what people can accomplish if they set their mind to it. I like your bin on wheels idea, that would work for a nearby location. Thanks for the comment. I was a bit down after seeing that National Geographic special. Of course, some of those people had more money than I ever did, so they could make things happen faster. As you point out, the ticket is to do what you can, consistently. ATH, I think a lot of us got a little twinge of doubt after seeing the show. You’re right though, some of the featured families have lots more $ than the rest of us, they can do a fast track method. Good for them, but if we just keep plugging along we will get there. I too fall into the category of people wanting to do it all, but hardly having the resources to anything. And when I say “resources”, it’s just a fancy way of saying money. There’s so much more mental preparation that goes into the actions we take–Why are we preparing at all? What are the most likely disaster scenarios that we are preparing for? What is our protocol for different disasters? 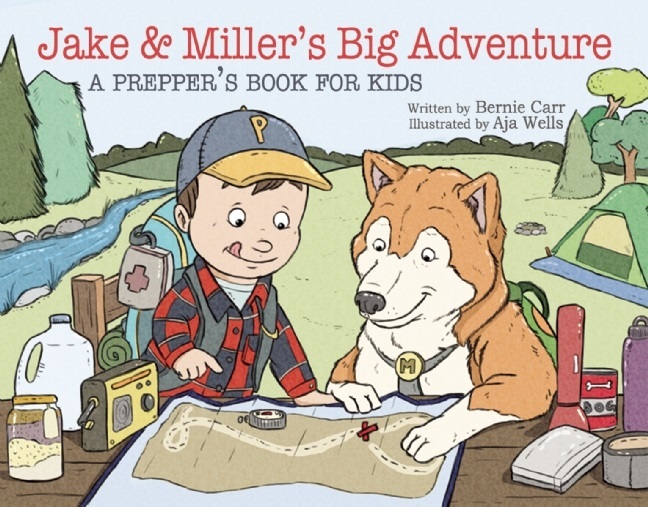 When do we hunker down, and when do we bug out? If we do bug out, where is our number 1 meetup location, number 2 meetup location, etc. What is the priority hierarchy when it’s go time? How does our body react to ________? Practicing, simulating, etc. 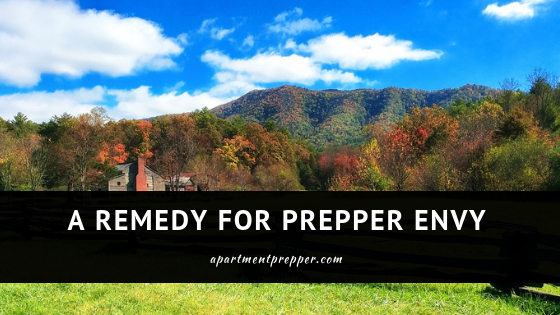 While acquiring some skills can take some money, there are a lot of foundational “prepper building blocks” which don’t, that can and should be worked on early. 2) While working on the skills and mental parts of prepping, another REALLY useful exercise is to sit down with a couple sheets of paper and a pen, and for one hour write out how you would most effectively use $50,000 on preps if it landed in your lap right now. Would you immediately look for another apartment or house? Would you consider purchasing some nearby land as a BOL? Maybe you instantly walk out the door to the store and come home with your 1 year’s supply. Maybe you purchase firearms and get training on them. What is it? What would YOU do right now if 50k plopped in your lap? Ok what about 5K? Or 100K? The numbers are almost inconsequential, it’s more about the thought process that it starts. Once you have your list of things, put them in order, 1-10, or 20, 30 whatever, and put estimated dollar amounts next to them. Now pretend that you will only have $50-100 a month to accomplish your list–do the items change? Probably not. But at least you now have a prioritized list of the things that you actually think are most important to spend money on. On the second sheet of paper, draw out a timeline, using your $50 a month allowance to tackle those things on the list (and keep yourself busy with #1 items in the meantime). Maybe a little simplistic or crude, but something that I don’t think a lot of people stop to consider. #2 is a good exercise for other things in life too (i.e. if I had 50K to put into my business RIGHT NOW, what would I do with it? Or, if somebody just walked up and handed me 50K to go blow on travel/entertainment, what would I do with it? Good questions to get you thinking about what it is you really want to do most…). @Diana–Nice job on the progress! Good point Urbivalist Dan, much of preparedness is mental: being able to envision what could happen and how you might react and prepare. I think many of us are in the same boat of not having a lot of $. All we can do is try to get as prepared as we can with what we have, and try to pick up a skill or two from others who are willing to share some knowledge for free. Good article. I feel the same from time to time. But it’s a marathon, not a sprint. Plus, most of the times we dip into our supplies are going to be for blizzards, heat waves, etc. That’s not to say we shouldn’t have more on hand, but I agree, you can only do so much at one time. Hi Oldguy, these skills do take time to develop. The first time I tried cooking over an open fire, I was surprised how long it took and how different from using a regular stove. Definitely worth practicing new skills. Thanks for the comment.